A California gas leak could be U.S. polluters’ BP moment. A storage well owned by a Sempra Energy utility has since October spewed almost 90,000 tons of methane. The environmental damage could rival that of the British energy giant’s 2010 oil spill in the Gulf of Mexico. American enforcers fined BP some $19 billion for that disaster. Homegrown violators deserve equally tough treatment. Expenses are mounting fast for the utility, Southern California Gas. About $13.7 million worth of natural gas has been lost, assuming a price of $3 per thousand cubic feet, according to the Environmental Defense Fund. Repairing the leak and defending against lawsuits that claim injuries to health and property will be costly. Thousands of people have already been forced from their homes. U.S. residents on the Gulf of Mexico coast can sympathize. The blowout at BP’s Deepwater Horizon rig spilled some 5 million barrels of oil over several months, destroying wetlands, crippling businesses and displacing tens of thousands of people. The company agreed to $18.7 billion in penalties, years of safety monitoring and a temporary ban on government contracts. The harm from the gas leak is less visible but potentially as serious. Methane is a greenhouse gas that, like carbon dioxide, warms the atmosphere. While it disperses faster than CO2, it absorbs heat far more effectively. The damages from global warming are tough to quantify, but a leak of this size could help raise the atmospheric temperature. Assigning blame may be complicated, however. Southern California Gas says it warned regulators in 2014 of “major failures” unless it could charge more for gas to pay for inspections of storage wells – some of which it argued should be abandoned. That doesn’t get the utility off the hook but suggests shockingly lax oversight. Whatever the company’s liability, there’s strong evidence prosecutors treat foreign firms like BP more harshly than American counterparts. U.S. criminal fines from 2001 to 2012, for example, were on average more than seven times larger for overseas entities than domestic firms, according to University of Virginia Law School research. There are big differences in the cases, and BP’s public relations missteps may have driven its penalties higher. Given the legal record, however, enforcers may need to crack down harder on offenders at home. Southern California Gas says it warned state utility regulators in 2014 that its storage wells could fail unless it could charge more for gas to pay for inspections, Reuters reported on Jan. 22. The utility, a division of Sempra Energy, owns the underground well that has been leaking methane in northern Los Angeles since Oct. 23. Several thousand residents of the nearby Porter Ranch community have had to evacuate their homes. On Jan. 18, Southern California Gas said its efforts to plug the leak were ahead of schedule and could be completed by late February. 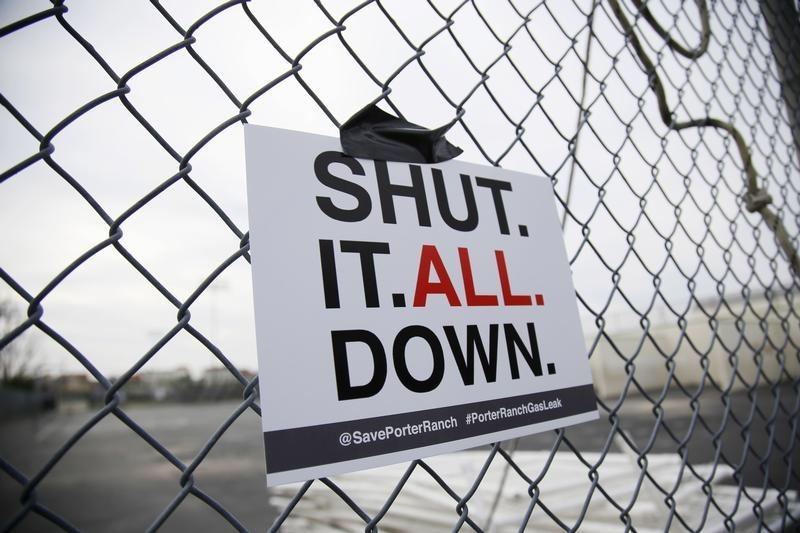 On Jan. 6, California Governor Jerry Brown declared a state of emergency at Porter Ranch. He called for the enactment of new regulations, including requirements for daily inspections of gas storage well heads and risk management plans from storage facilities.